In an article for the latest issue of Scottish Natural Heritage?s (SNH) magazine The Nature of Scotland, chief executive Ian Jardine recommends closer working relationships between shooting and conservation groups as the best way of resolving ?countryside conflicts?. He said: ?Some may find it surprising, but conservation, hunting and fishing interests all have many of the same goals. After all, when wildlife flourishes in Scotland, it helps nurture our country?s environment and supports our rural communities.? 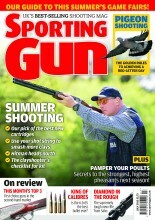 The article also emphasises the importance of country sports to the Scottish economy ? it is thought to be worth around £400million per year ? and concludes that the heart of a strong country sports industry is a ?healthy wildlife resource?. Simon Thorp, director of the Heather Trust, was delighted with the unequivocal stance adopted by SNH. He said: ?These are welcome comments indeed, and I doubt that any supporters of the Trust will disagree with these sentiments. Well done, SNH! ?